Last week the news included a feature with Jeanette Winterson talking to children about fairytales and ways in which these narratives might be rewritten. I think Jeanette would approve of my upbringing. I have a clear memory of a bedtime story told to me by my mother when I was aged about four: a girl with the same name as me was offered the opportunity to swop places with a princess. She did so, and didn’t like it because all she did was shake hands with people for the whole day and she had to keep her clothes clean rather than running about with her friends getting as mucky as she liked. This was around the same time as Charles and Diana getting married, and while the world went princess mad, my mother told me “He doesn’t love her, you know.” Safe to say by that tender age I thought being a princess vastly overrated. So in honour of Jeanette and my mother, this week I’m looking at novels that rework a fairytale narrative to some extent. 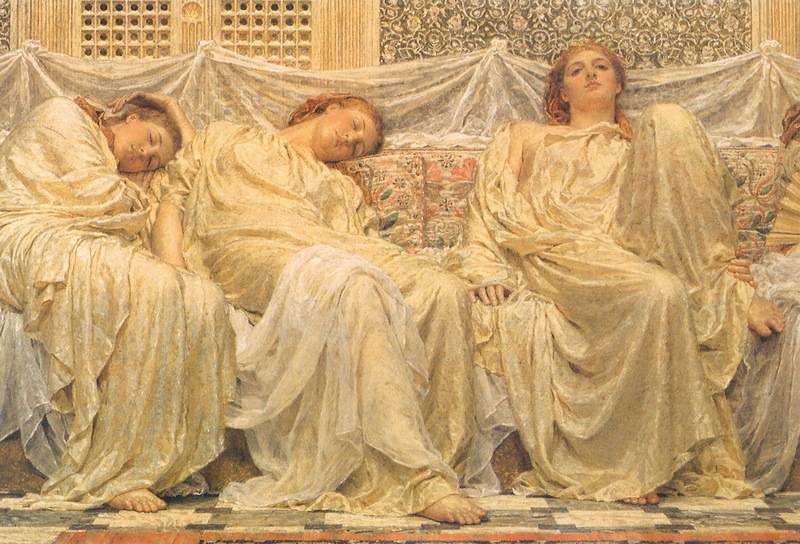 Firstly, a young girl living in a castle with her sister, brother, father and step-mother. Except her sister is beautiful & they love each other, and the stepmother is batty and awesome and holds the whole family together, in I Capture the Castle by Dodie Smith (1949). Two American men arrive to disrupt this picturesque but borderline-starving idyll, and what follows is a coming of age novel, as Rose plans to marry one of them and Cassandra comes to terms with her feelings about her sister, family, life, love and money. And I really don’t think I have the words to convey how I feel about this novel. I could layer superlative upon superlative and not get close. It is a wonder. I wish I’d read it as a teenager, because then I could have read it another ten times (minimum) by now. I wish I’d met Cassandra Mortmain years ago but at least I have her in my life now. She is witty, insightful, wise and funny. Her family are flawed and eminently loveable. The story is eccentric but not self-consciously so; it is heart-warming but not sentimental. I absolutely adored it. 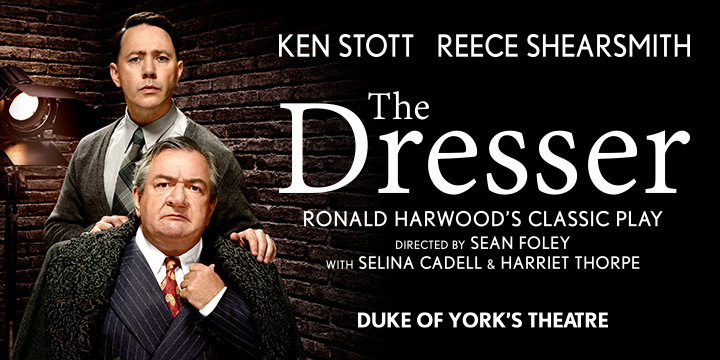 Last week I saw The Dresser with Ken Stott and Reece Shearsmith. Reece Shearsmith in particular gave a really moving performance. The cast were universally good and it was an interesting exploration of love in various guises amongst a group of people who are no longer young. For this reason, I thought I’d look at novels exploring love later in life. Then there is the character of Barry himself: intelligent, witty, kind, selfish, self-centred, sexist. A mass of compelling and endearing contradictions. A sexist who uses the word “mentalate” rather than menstruate, yet who supports a lesbian he barely knows through a degree in Woman’s Studies. A flamboyant, confident, outgoing man who cannot come out through fear of judgement; unapologetic of his sexuality yet resistant to certain labels “I ain’t no homosexual, I am a ….Barrysexual!”, despite the love he feels for his partner of 60 years, Morris. And never, not once, have I ever felt able even to link arms with the man I love. Me and Morris exchange sidelong glances, and flicker. He grabs my hand and squeezes it for a few seconds. 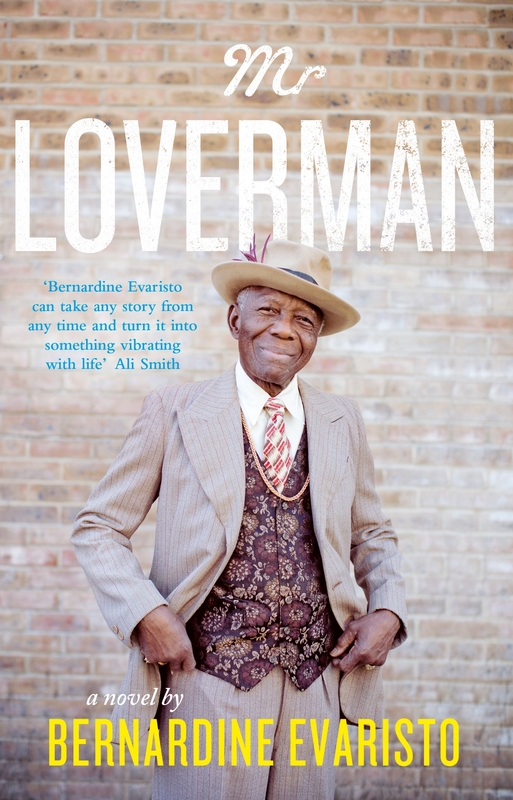 Mr Loverman is also a story of identity, colonialism, immigration first and second-generation, and prejudice in many forms. Barry is an intelligent, well-educated ( devoted to his various night school classes), well-read and funny guide through these issues, who provides plenty of food for thought whilst suggesting love always wins out, and there’s plenty to go round. A brilliant character study which engages with huge themes in a compelling but never didactic way, Mr Loverman, like Barry himself, is an absolute gem. “It’s some kind of decision to be free. Even at our ages. You’re acting like a teenager. The short novel (179 pages in my edition) follows the tender, tentative relationship that builds between Louis and Addie. Haruf’s writing is sparse and he hammers nothing home. Instead he presents moments in unadorned prose, leaving the reader to recognise the meaning. “Addie turned off the light. Where’s your hand? The moments layer into a narrative which presents a touching, believable relationship between two strong, independent individuals who also recognise their need for intimate human contact. Haruf is interested in what human beings can give to each other in the simplest, most fundamental terms. This is further explored through their relationship with Addie’s grandson, a boy traumatised by his parents acrimonious split, who is healed through humble activities with Louis (ball games, camping) and adopting a rescue dog. “The boy was asleep. The dog lifted her head from the pillow, looked up at Louis and lay back again. Haruf is a wonderful writer, presenting moments of extraordinary delicacy and complexity distilled to their essence. Beautiful. To end, a picture of Ruth Gordon (I don’t know why I don’t do this every week). Because her face is amazing, and one of her most famous roles was in Harold and Maude, a controversial older person romance. In real life she was married to the same person for 43 years and he was with her when she died. Also, completely unconnected to theme but just because I think it’s awesome, when she died aged 88 she was planning the next play she was going to write. Well, Milton’s got my number. My shallowness extends to books themselves –against conventional wisdom, I definitely judge by the cover. Thank goodness I do, otherwise whole publishing marketing teams would be out of business. This week I’m hoping other people aren’t as shallow as me as I’m starting a new job and I hope they overlook whatever gibbering first impression I make to see the hard-working-team-playing-but-definitely-not-a jobsworth- and-will-never-steal-your-lunch-from-the-fridge colleague within. I was also thinking about first impressions and book covers following an interesting post by Lady Fancifull a few weeks back, about a marketing campaign which played on this exact bias. Earlier in the year, I was persuaded by another blogger, Cathy at 746 books, to stop being so shallow when I won a book in her giveaway, encouraged by her great review, although its cover meant I would never have picked it up normally. So in this post I’m going to look at the book I was lucky enough to win, and a book whose cover would have attracted me even if I wasn’t already a fan of the author. Yuck, right? Curlicues – seriously? I would never have picked this up, thinking it looked like a fluffy romance, which is not my taste at all. But while there is a love affair in Fallen, it is not romanticised. Mills is interested in the fallout from war on both those who served and those who remained behind (often women) and how a generation of young people were irrevocably damaged. Katie Crilly is living in Dublin in 1915 and trying to find her way in a world where she doesn’t know what she wants, except that she definitely doesn’t want what others expect of her. Then her twin brother Liam announces he’s off to join the war effort. 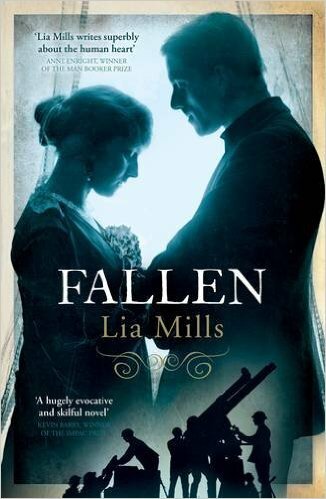 Fallen is about an ordinary life caught up in exceptional circumstances. It is about how to find meaning in a world where national events dwarf the individual. Ultimately it is a hopeful book, about how a fractured self can be rebuilt, whole but wholly different. And it is very much about Dublin: Mills evokes a strong sense of place and Fallen was a perfect choice for Two Cities One Book, in the centenary year of the Easter Rising. Gorgeous, no? The pictures really capture the vibrancy, unpredictability and humour of Kawakami’s writing.